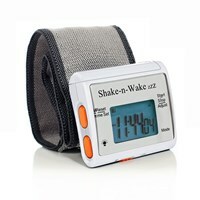 The lightweight and comfortable Shake-n-Wake ZZZ Vibrating Alarm Clock Watch makes a great combination personal alarm clock watch, appointment and medication reminder. 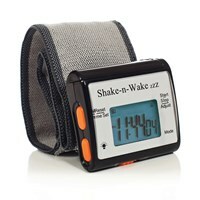 This vibrating alarm clock watch is ideal for anyone who is hearing impaired. 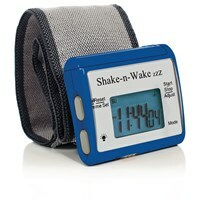 The Shake-n-Wake ZZZ Vibrating Alarm Clock Watch is comfortable to wear on your wrist while sleeping, or may be placed under your pillow or on a nightstand. 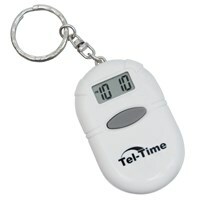 Vibration alarm is great for the deaf, or to avoid disturbing others. This alarm clock watch also features an audible alarm. For use in the kitchen, this alarm clock watch also has a timer feature. Measures 2-1/4-in. 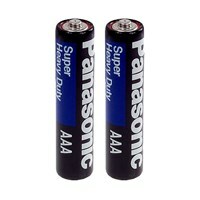 x 2-1/8-in. x 1-in.